People in Imabari with festinate character like dishes that are made quickly, not expensive and delicious. And the 'Yakibuta Tamagomeshi' was born as staff meal originally and the restaurant 'Hakurakuten' served it at first. 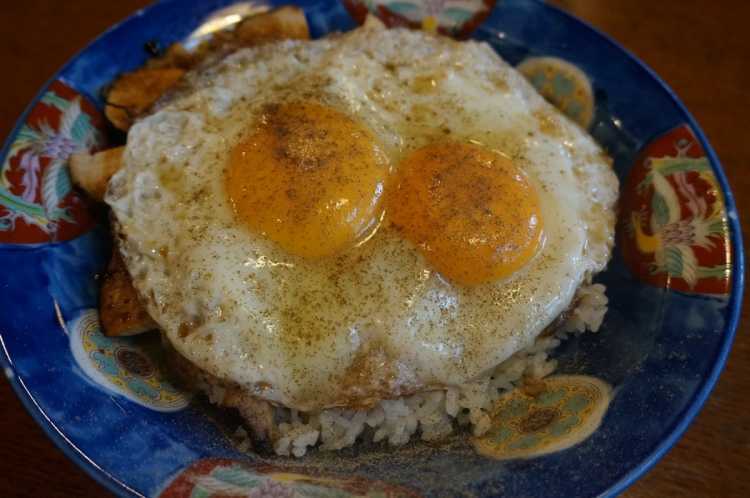 The simple delicious meal consist of grilled pork and half-boiled egg mixed with rice.